Kevin Kish, director of the California Department of Fair Employment and Housing (DFEH) will be the luncheon keynote speaker at the California Chamber of Commerce HR Symposium on November 2. 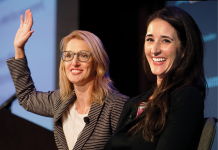 As a follow-up to last year’s well-received HR Symposium in Los Angeles, the CalChamber will be bringing human resources experts to the Hyatt Regency in San Francisco this year. As the luncheon keynote speaker, Kish will discuss trends and enforcement priorities for DFEH, which leads the charge in regulating and enforcing state laws to protect Californians from unlawful discrimination in employment. He also will talk about upcoming regulations and provide updates on new legislation. Erika Frank, CalChamber Executive Vice President, Legal Affairs and General Counsel. Roundtable Discussion, Panel of Employment Law Experts and HR Peers. Hiring and recruiting employees continues to evolve as laws change and HR embraces new trends. Are you ahead of the curve or just catching up? Hear from your peers and legal experts as they discuss a wide range of topics, including new laws, hiring strategies and how technology influences new trends. Ohnmar Shin, Senior Partner, Mullen & Filippi. Employers can take the fall if they don’t handle workplace injuries correctly. In addition to contacting your workers’ compensation carrier, what should you do when a workplace injury takes place? Learn from real-life scenarios to prevent that one slipup from requiring you to pay up—whether it involves fines, a lawsuit or your ability to keep your business open. Let this informative session be your HR guide. Jennifer Barrera, CalChamber Senior Vice President, Policy; Laura Curtis, CalChamber Policy Advocate, Labor and Employment, Workers’ Compensation, Elections/Fair Political Practices. 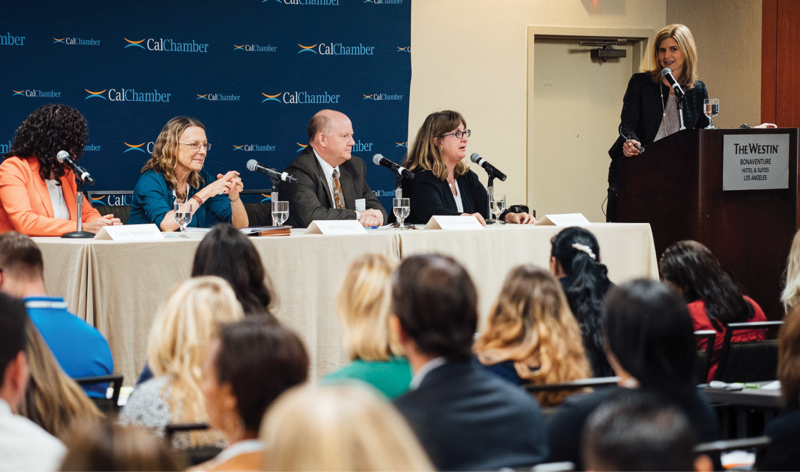 CalChamber’s policy team brings energy and experience to making sure California lawmakers and regulators consider the impact of proposals on business and the state’s economy. Here’s your front-row seat as our Capitol insiders share a behind-the-scene look into their lobbying efforts in Sacramento. Find out about the major labor and employment bills fought, potential laws stopped, key laws signed by the Governor and insights into the new administration. Kevin Kish, Director of the California Department of Fair Employment and Housing (DFEH). Lisa Buehler, Partner, Ellis Buehler Makus. The aftermath of the #MeToo and #TimesUp movements shows a substantial increase in alleged harassment claims and, consequently, a rise in workplace investigations. But here’s the twist for HR: We’re seeing more of what were traditional employee relationship issues popping up as harassment claims. Discover how these new claims pose a greater challenge for HR and how this impacts your internal investigation process. Jennifer Shaw, Principal, Shaw Law Group. Managing reasonable accommodation requests can be a daunting task. Must an employer accommodate all employee requests? Is there a process you must follow? When is it OK to terminate someone? Learn how to manage everything from accommodation requests for working from home to requests for a first-class seat on a plane. Pick up tips on handling extended leave beyond FMLA/CFRA, requests for continuation of benefits, finding workable solutions, as well as discerning between what’s reasonable and unreasonable. To register or for more information on the HR Symposium and presenters, visit www.calchamber.com/hrsym2018. The symposium is approved for 8 California recertification credits through the HR Certification Institute (HRCI), 8 professional development credits for the Society for Human Resource Management (SHRM) and 8 MCLE credits. CalChamber preferred and executive members receive a 20% discount.